Cultivate a consistent practice of placing your attention on what’s good—on being and doing good. Have and assume the best intentions. Look for the best in everyone and every situation. Be a “learn it all” versus a “know it all” and open to the possibility of learning something new. Be honest. Be clear and consistent about your ethical standards. Align words and actions. Act with integrity for its own sake. Recognize your part in current circumstances. Shed your position if it benefits the goal at hand. Strive for excellence in your personal conduct and work product. Express your best self and do your best work. Take responsibility for creating the conditions necessary for both. Everyone makes mistakes. It’s a good way to learn. See each situation for what it is, and respond to what is in a way that’s best for all. Accept change as a given. Welcome and pursue alternatives. 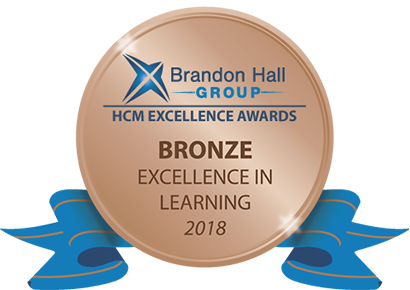 Coin Harlan’s partner Advantage Performance, and American Honda Motor Co., Inc., won a Bronze Excellence in Learning Award for Best Advance in Creating a Learning Strategy with a program called Discover Honda: Values Driving the Future. Coin Harlan helped design and execute several components of the strategy, including a new hire orientation workshop and a workshop and eLearning course for Honda dealerships. In partnership with T-Mobile, CHC conceptualized and architected T-Mobile’s first micro-learning strategy for the Leadership Development group’s high potential leaders curricula. The solution presented learning on a daily basis, in approximately 2- to 20-minute chunks delivered in a variety of synchronous and asynchronous formats. 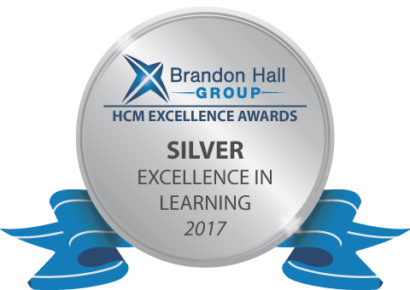 The program was awarded two 2017 Brandon Hall Awards—a gold for excellence in learning and a bronze for excellence in leadership development. In 2016, CHC collaborated with Pamela Meyer, author of The Agility Shift, to help T-Mobile leaders be more agile in their ever-changing work environment. The approach for this two-day, out-of-your seat workshop was learning through experiencing and reflecting. It won a 2017 silver Brandon Hall Award for excellence in learning. I love working with Coin Harlan! They have been instrumental in helping our training team get current on needed skills for instructional design. Since our people come from all backgrounds, and many have never learned instructional design in a formal way, we need to get everyone up to speed on teaching adult learners. Coin Harlan is creative, innovative, and easy to work with. They can take their strong knowledge and skill set, and match it in a very personal way to the needs of our team. They are also flexible. If one idea turns out to be not quite what we need, they will pivot and help us make it better. I highly recommend them to anyone who needs strong workshops for adult learners! I would not hesitate to work with Coin Harlan and would recommend them 100% as partners in building the most interactive, engaging learning experiences. Their development process is painless and comprehensive – they build rapport and ask the right questions to truly understand the needs of your organization or specific project. They listen and create a customized, instructionally sound product that drives OUTCOMES for your business. They are experts in their field and make strategic recommendations that enhance the experience for your learners. The final product is unique, engaging and will leave a mark long after they are gone. Our team at Advantage Performance Group has had the opportunity to work with Coin Harlan on more than a dozen projects, spanning virtual classrooms, e-learning and experiential classroom trainings. They are great with clients, having the ability to translate their needs into real outcomes that learners can achieve. From sophisticated Fortune 100 companies to niche, regional organizations, the Coin Harlan team easily connects with customers and establishes credibility, and applies creativity to every project. We consider Coin Harlan an extension of our consulting team at APG. I would highly recommend using Coin Harlan for any learning-design project. Coin Harlan continues to be instrumental in helping AMA migrate traditional classroom materials into engaging and effective virtual-classroom experiences for our customers. We can also trust Coin Harlan to build positive and productive relationships with internal staff and AMA customers. They understand instructional design and are able to get to the core of the learning needs, which helps us provide our customers with targeted learning solutions. Coin Harlan has helped AMA build not only virtual programs but also traditional classroom and eLearning programs. The team at Coin Harlan is a pleasure to work with! Working with Coin Harlan has been the best experience I’ve ever had with a consultant. Their communication and commitment to deadlines is stellar. Their ability to understand complex, industry-specific challenges and opportunities, and translate those into meaningful content is extraordinary. The business-development (BD) training program they developed for my company was so good and so well received that it changed the entire BD culture permanently. The return on investment was immediate and measurable, including a three-fold increase in both our sales pipeline and hit rate. I’ve since changed companies and have chosen to work with them again because of the success I’ve personally gained in my career through the use of their services. I can’t recommend them highly enough. For billing inquiries, contact Patty Totaro at patty@coinharlan.com. © 2019 Coin Harlan. All rights reserved.